Download is the UK's premier rock festival at the spiritual home of rock, Donington Park in Derby. 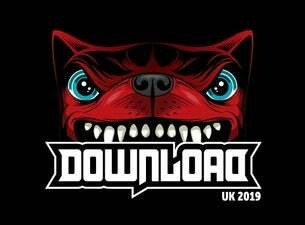 2019’s Download Festival will take place between 14 – 16 June 2019 and be headlined by Def Leppard, Slipknot and Tool. Also appearing at the weekender will be Slash featuring Myles Kennedy and The Conspirators, Whitesnake, Rob Zombie and Trivium. Def Leppard will perform their seminal album Hyseria live in full at the festival. The record is the band’s best selling to date and spawned the singles Animal, Love Bites, Armageddon It and Pour Some Sugar on Me. With genre-defining tracks such as Duality, Wait and Bleed and Left Behind this will be the fourth time American heavy metallers Slipknot have headlined the festival. In his acceptance speech for the Icon Award at this year’s Metal Hammer Golden God Awards, Tool lead vocalist Maynard James Keenan promised new music was on its way. The metal band’s last album was released in 2006 and the announcement that the band are headlining Download will further tease fans that something new is coming. In addition to these huge headliners Smashing Pumpkins, Die Antwoord, Whitesnake, Lamb of God, Slayer, Halestorm, Rob Zombie, Simple Creatures and many more will also perform. A key date in the calendar of any rock fan, Download Festival 2019 is not to be missed.